Bellevue Christian plucks four interceptions against Cascade Christian. The scoreboard didn’t tell the entire story in a matchup featuring the Bellevue Christian Vikings and Cascade Christian Cougars football squads. Cascade Christian registered a 45-7 victory against Bellevue Christian in a contest between private schools on Sept. 29 at Sunset Chev Stadium in Sumner. Bellevue Christian dropped to 2-3 overall courtesy of the loss against its rival on the gridiron. Vikings’ head coach Todd Green was pleased with his team’s performance despite the lopsided numbers on the scoreboard. The Vikings defense intercepted Cascade Christian signal caller Parker Johnson four times throughout the night. Bellevue Christian safety/quarterback Mick Larsen, who finished the game with two interceptions, had a 21-yard interception return for a touchdown with 10:54 left in the third quarter, cutting Cascade Christian’s lead to 18-7 at that juncture of the contest. Bellevue Christian defensive backs Ike Schneidler and Gavin Morrison each intercepted Johnson as well in the first half of play. Larsen knew Cascade Christian would be a formidable foe before boarding the team bus en route to Sumner for the game. Cascade Christian is a perennial 1A state powerhouse. Cascade Christian junior running back Toretto Metzger-Magalei had three rushing touchdowns in the victory against Bellevue Christian. 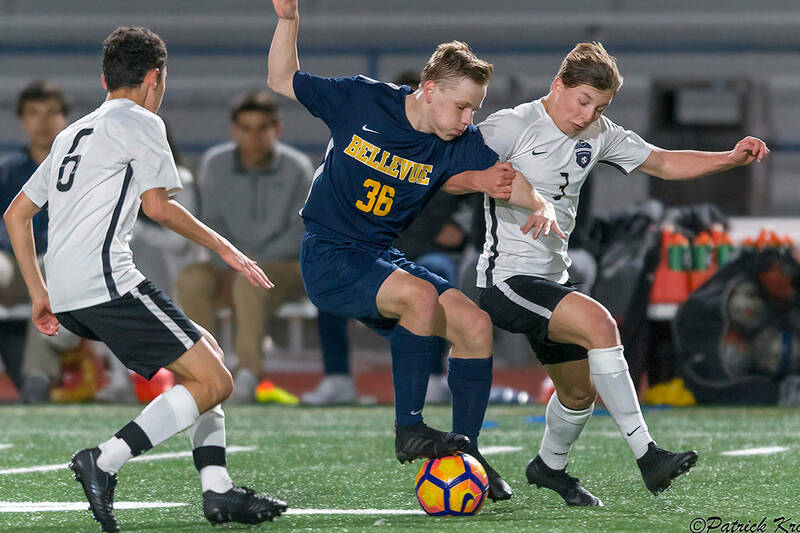 Bellevue Christian, who had less than 20 players suited up for the game, saw the vast majority of its starters playing on both sides of the ball. The iron-man approach is something Green is proud of. 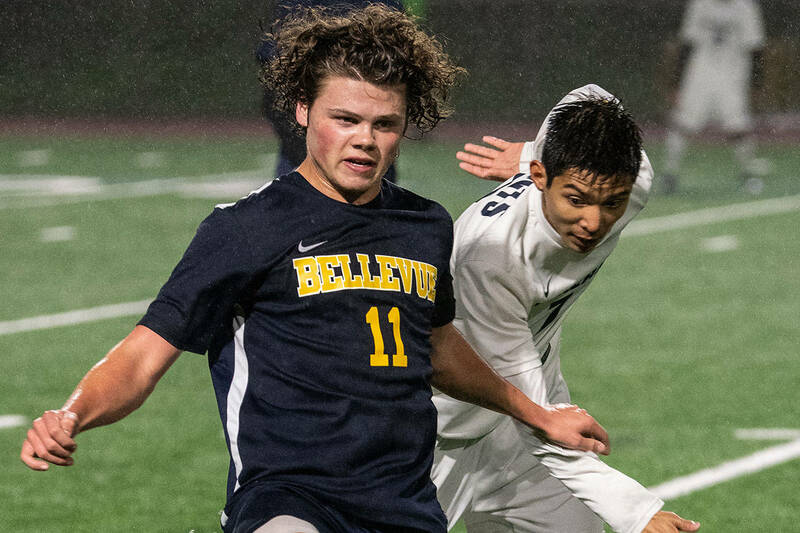 Bellevue Christian will host Port Townsend at 5 p.m. on Oct. 6 at Sammamish High School in Bellevue. “We just got to watch the film and get ready for them. We’re going to give 110-percent effort and whatever happens, happens,” Larsen said.